Here are some new resume format or templates, which can be use to create professional resume of yours. Download the templates and use it to create resume and here also you will get simple and single page resume to apply jobs. See the preview and if you like that then download it and enjoy, some templates/documents are in MS Word 2003 and some are in MS Word 2007 format and single pages BIO-DATA in PDF Format. 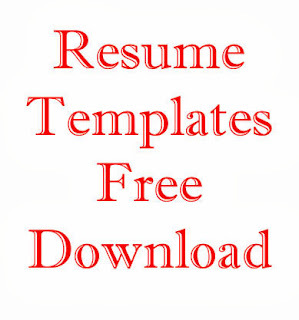 Download all these Resume Template For Freshers and Experience Candidates searching for jobs. All the Resume templates are free to download, to download resume template click on the download link.